Early Yellow flowering wild perennial plant commonly found across the UK on roadside verges, waste and disturbed ground, most often in clumps or patches. 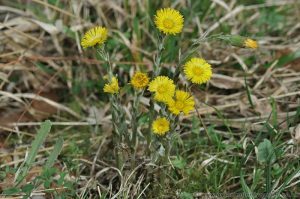 Coltsfoot begins flowering in February through to April, it is one of earliest wildflowers to be found at this time of year, some others include, Lesser Celandine (Ranunculus ficaria), Dandelion, and Wild primrose. The leaves Coltsfoot only appear after the flowers heads have faded. 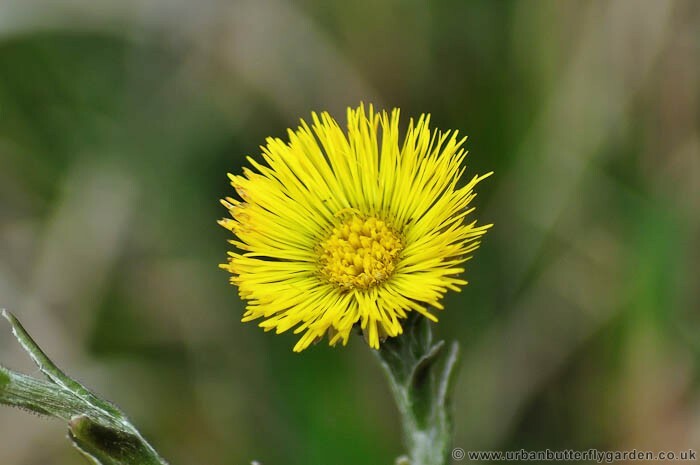 Coltsfoot is a larval food plant for several species of moth and attracts early insects like Bees. It is believed that Coltsfoot has medicinal properties, and has been used in the past to treat some breathing disorders.